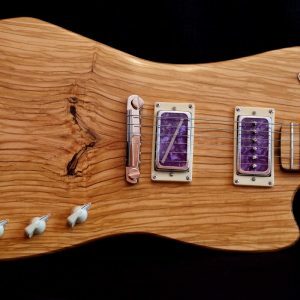 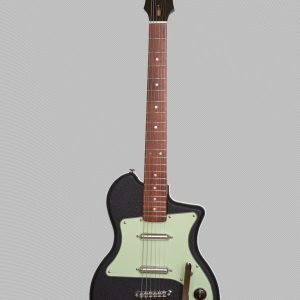 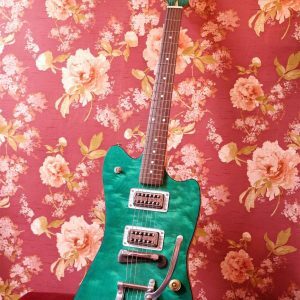 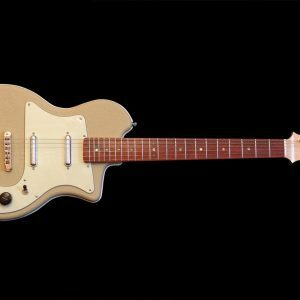 The Coruña is a neck-through solid body guitar. 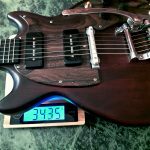 For the neck I used a decades old piece of quarter sawn Honduras mahogany that goes all the way through to the end of the body. 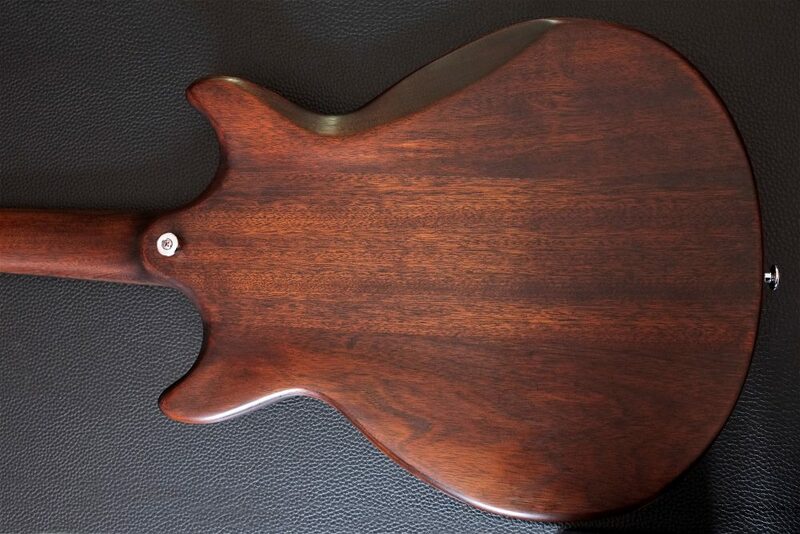 The body wing are Khaya mahogany. 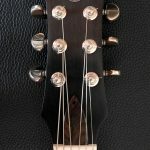 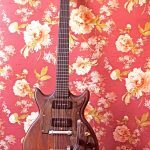 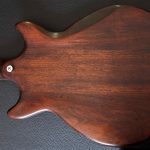 The body is slightly carved out on the back, which gives it a ergonomic organic feel and as a bonus, reduces the weight of the guitar. 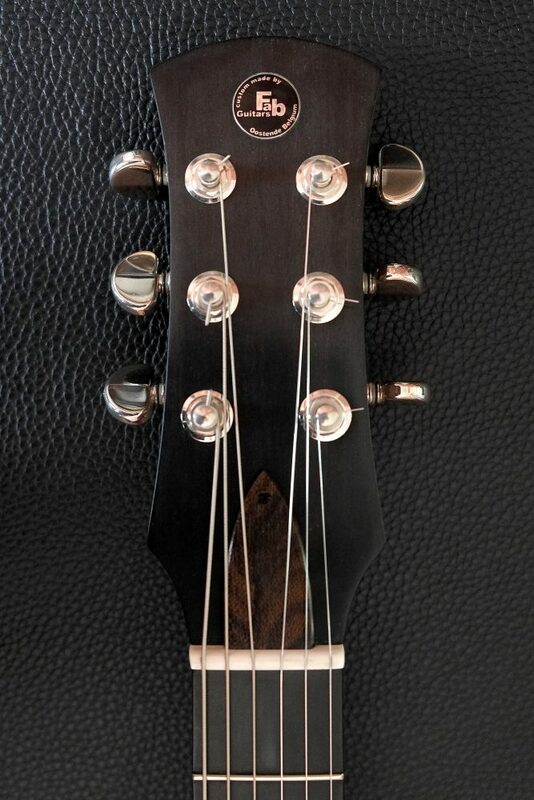 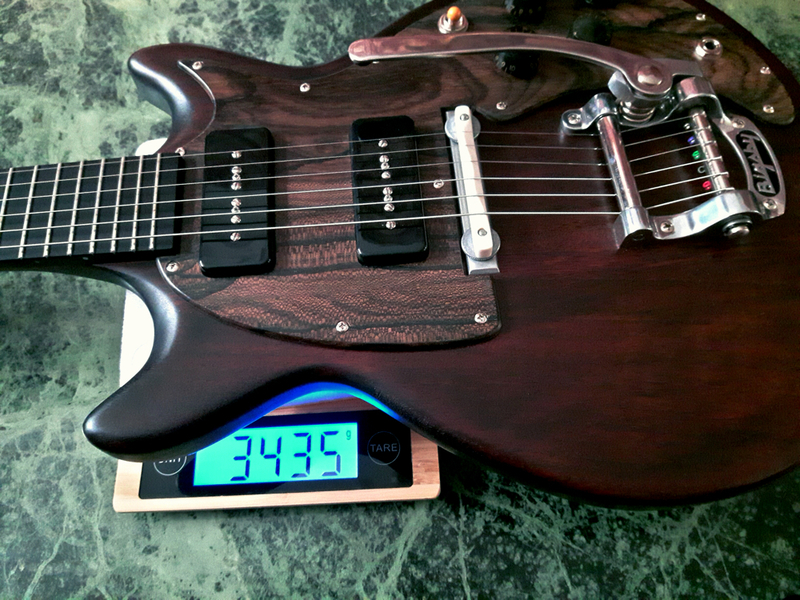 The 24 frets fingerboard is made of a thick slab of top quality ebony. 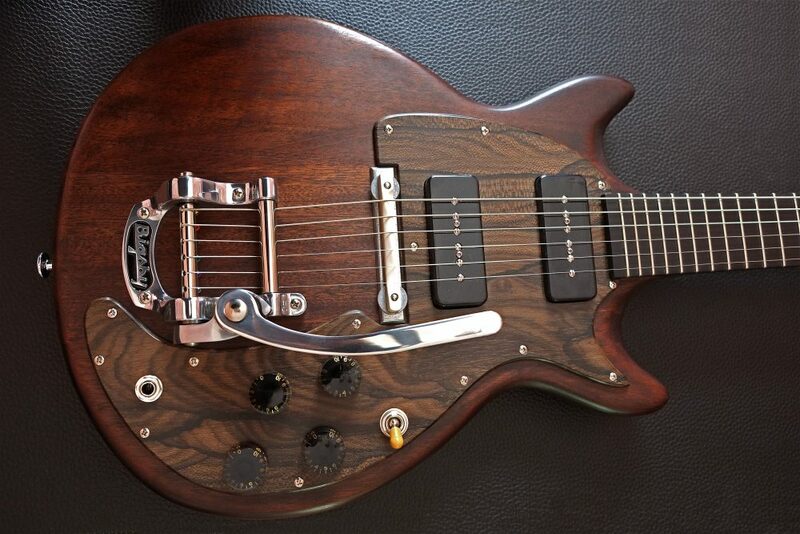 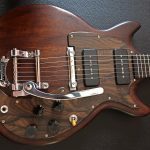 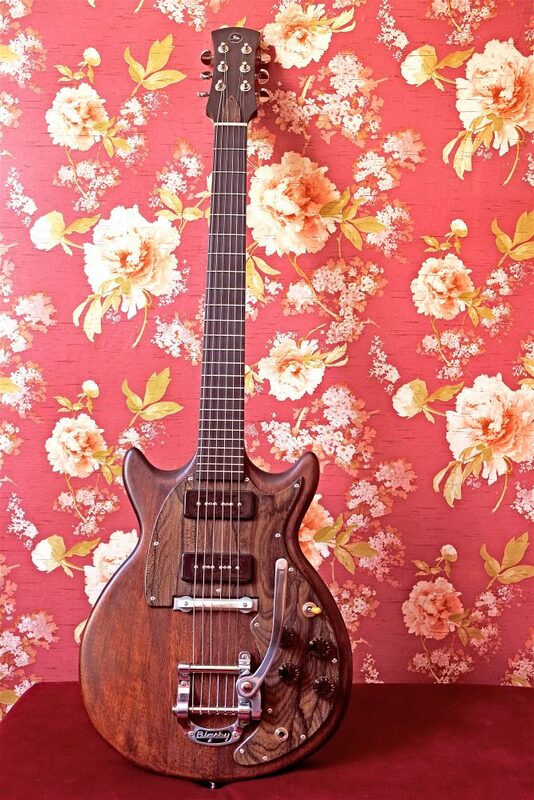 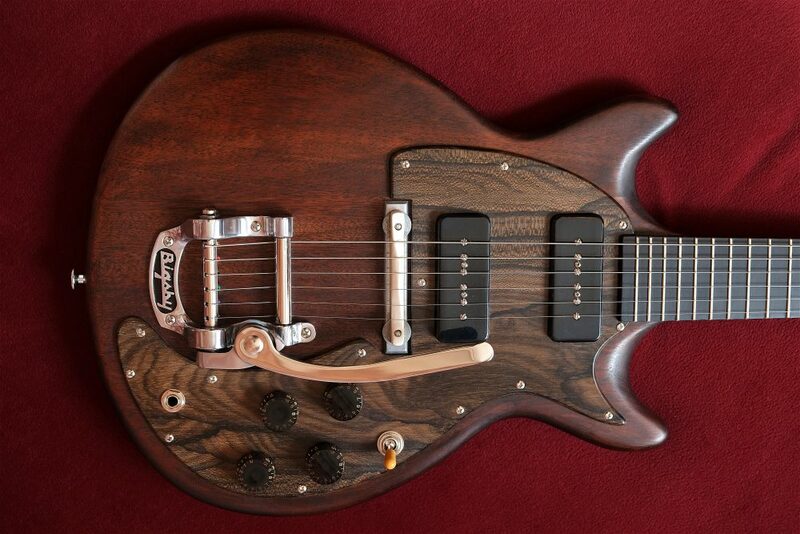 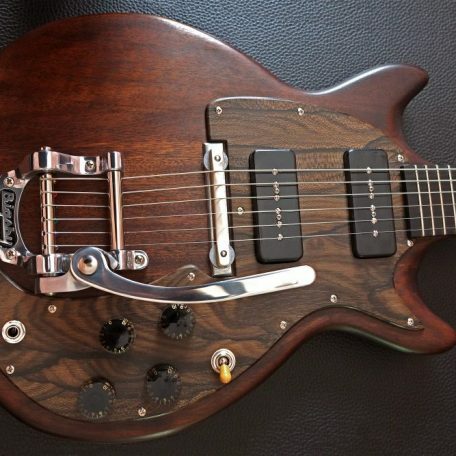 The solid ziricote pickguard holds two handwound P-90’s delivering a classic single coil sound.